I will be hosting the Sunday evening “gazebo concerts” at Kuser Farm Park throughout the summer of 2007. Each Sunday from July 8th through August 26th, from 6 to 7:30 or 8 P.M., we will bring a nostalgic evening of music under the stars. Each week will feature an hour and a half or two of classic love ballads, country music, Irving Berlin classics, “Tin Pan Alley” favorites, Broadway tunes, music of World War II, the 40’s, the 50’s, and even some of the smooth and understandable songs of the 60’s and 70's. Sing along or just listen and enjoy! For those dancers in our midst, that great little concrete dance floor in front of the gazebo welcomes you when we roll out the barrel with polkas, jitter bugs, line dancing, and good old fashioned cheek to cheek dancing. The media has decided that our music doesn’t fit their target audience. Viewers of this website and my "Sentimental Journey" columns in the Trenton TIMES ARE my target audience! The programs are free of charge. Bring a folding chair or a blanket and settle back and remember the music we grew up with.....indeed the era when music was music! I look forward to seeing many of you beginning on Sunday, July 8th. STAY TUNED...More information will be forthcoming. 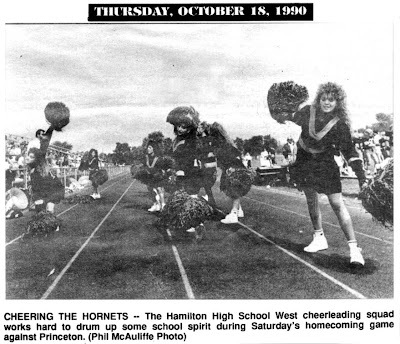 HERE'S A PHOTO OF THE HORNET CHEERLEADING TEAM ROOTING FOR THE HAMILTON FOOTBALL SQUAD DURING THE 1990-1991 SEASON. 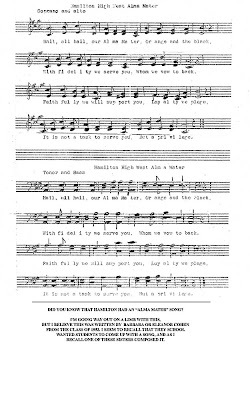 "HAMILTON HIGH WE'LL SERVE YOU, EVER WE'LL LOYAL BE..." BUT THE ABOVE SHEET, PRESERVED BY KATHY CSORGO ANNACCARATO, WAS COMPOSED BY BARBARA OR ELEANOR COHEN BACK IN THE 1940'S OR 50's. IT IS SUNG TO THE TUNE OF THE CORNELL UNIVERSITY ALMA MATER. 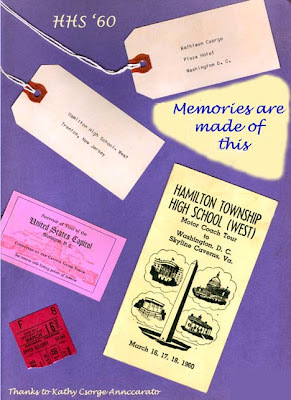 I RECALLED THE END OF THE SCHOOL YEAR IN MY GRADUATING YEAR OF 1951.IN ADDITION TO "CLASS NIGHT," WE ALSO HAD A PROGRAM KNOWN AS A BACALAUREATE SERVICE. YUP, BEFORE GOD WAS EXPELLED FROM THE PUBLIC SCHOOLS, WE ACTUALLY HAD MEN OF THE CLOTH, JEWISH OR CHRISTIAN, SAYING PRAYERS. 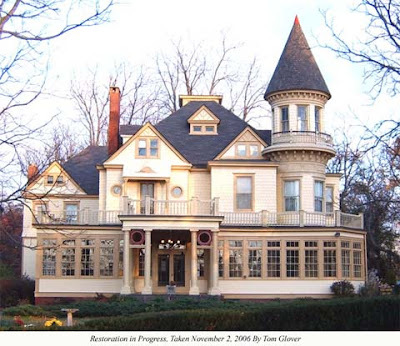 IF THERE WERE ENOUGH FOLKS WHO FOLLOWED THE ISLAMIC RELIGION IN HAMILTON BACK THEN, WE WOULD HAVE GLADLY HAVE BOWED OUR HEADS IN PRAYER AND RESPECT. HOW QUAINT! HOW ABSOLUTELY PRIMITIVE! WOW, WERE WE "UNENLIGHTENED!" OH YES. WE ALSO HAD A POLICE PRESENCE IN THE HAMILTON SCHOOLS. EVERY YEAR OR SO, OFFICER "BOOTS" SNYDER WOULD COME AND TALK TO US ABOUT SAFETY. NOW THAT WAS TRUE POLICE PRESENCE! HOW WELL I REMEMER HOW LOUISE BAIRD LOVED THE MUSIC WHICH EMINATED FROM THIS CLASS! GEORGE BOLGE AND THE EVER LOVELY KAY SALVATORE WERE PERFECTLY CAST. 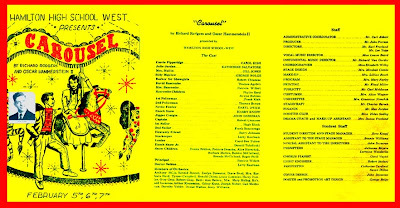 BOTH GEORGE AND KAY WERE VERY TALENTED VOCALISTS AND ACTORS, AS WERE ALL HE MEMBERS OF THE CAST OF THIS, MY VERY FAVORITE MUSICAL. I STILL REACH FOR A BOX OF KLEENEX NEAR THE END OF THE PLAY WHEN BILLY COMES BACK FROM HEAVEN DURING THE COMMENCEMENT SERVICE, AND THE CHOIR BEGINS SINGING, "YOU'LL NEVER WALK ALONE." I WISH THERE WAS JUST ONE STUDENT FROM EACH OF THE HAMILTON HIGH CLASSES THROUGH THE YEARS WHO SAVED THE MANY BITS OF MEMORIES WHICH KATHY DECIDED TO SAVE FROM THE TRASH BIN. JUST LOOK AT THE GREAT LITTLE VIGNETTE OF A FEW OF THESE TREASURES.